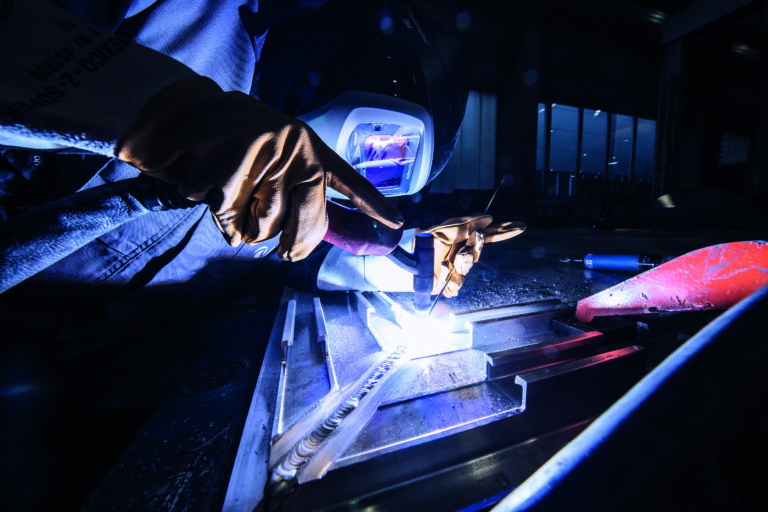 Anyone wanting to carry out TIG welding will have to master their craft. While the welder guides the welding torch with one hand, they simultaneously add filler metal with the other hand. This not only requires a measure of coordination, but also a steady hand. The result is a spatter-free and smooth weld seam. Due to the high quality of the weld seams it produces, the tungsten inert gas welding process is used whenever the weld seam quality is of top priority, including applications in container construction for the food industry, and in the aerospace industry. The welding process is also used in lightweight aluminum constructions. For example, the cabs of a cable car system require a large number of weld seams to connect the various plates and profiles. 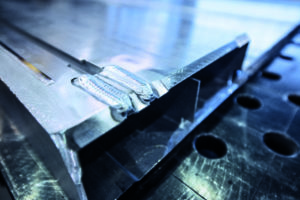 Welding in these cases can prove technically challenging, with the abrupt changes in profile thicknesses within a single seam and transitions between thick and thin material. Numerous short seams harbor further pitfalls: pores can frequently form at the start of a seam, and fine cracks at the end. In order to ensure the maximum load capacity and component safety, in addition to the best possible metallurgic properties, all seams, no matter the size, must be free from pores at the start and cracks at the end. The TIG process is best suited to overcoming these challenges. TIG welding guarantees slag-free, smooth seams that have no pores at the start or cracks at the end. But why is that? 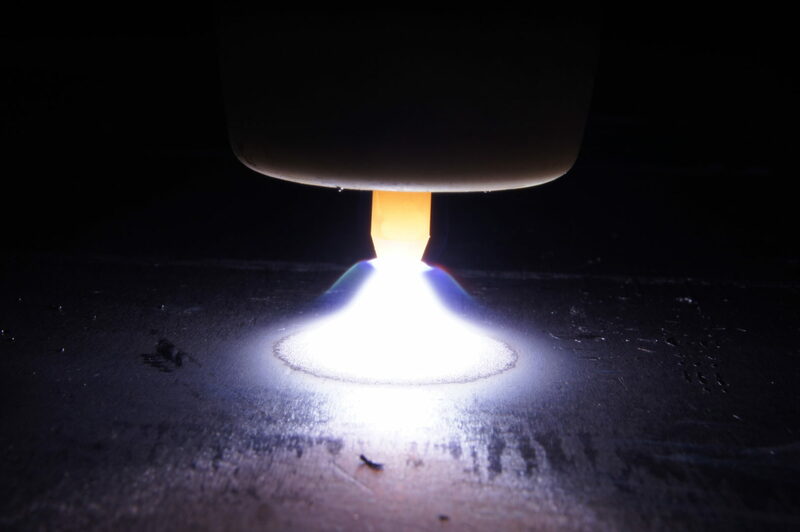 In tungsten inert gas welding, an arc burns between a non-melting tungsten electrode and the metallic workpiece in an oxygen-free, non-reactive gas atmosphere. Due to the inert shielding gas, no chemical reactions take place with the liquid weld pool. This has metallurgic advantages: the weld seams produced are high-purity, thereby less susceptible to cracks, and have excellent mechanical and technological properties. When using special materials or when there are exacting requirements for the seam quality and appearance in particular, TIG is therefore the preferred welding process. In addition, the process is characterized by a stable arc and a smooth and slag-free seam. Together with the spatter-free welding process in almost all positions, this is the fundamental requirement for top quality seams. 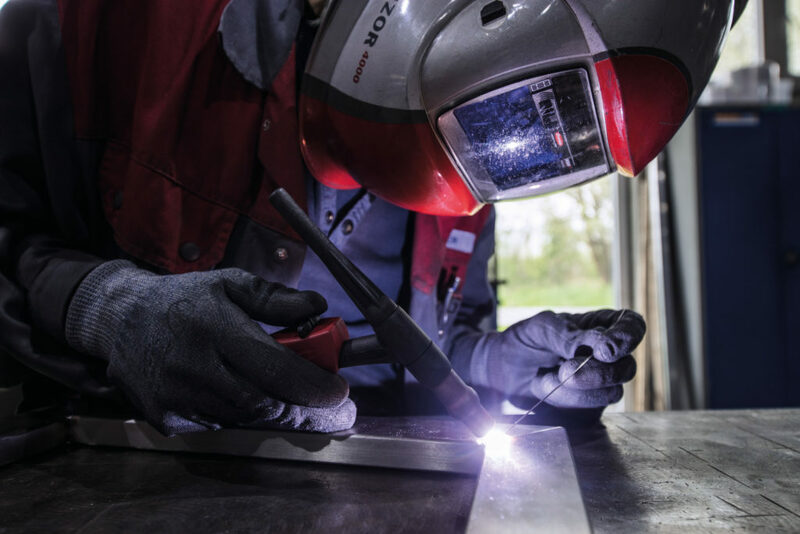 From March 2018, Fronius will be launching a new product series for manual TIG welding with MagicWave 190 or 230 amperes, as well as the TransTig 230i. ArcTig is a new Fronius development for mechanized TIG applications. With the Fronius Virtual Welder, it is also easy to carry out virtual training for TIG welding. You can find out exactly how this works in our blog post.